What is the Regina Plan? The Regina Plan, a program unique to the School of the Cathedral, is designed to assist students with mild to moderate language-based differences. One-to-one tutoring is provided, as needed, by Orton-Gillingham trained tutors. 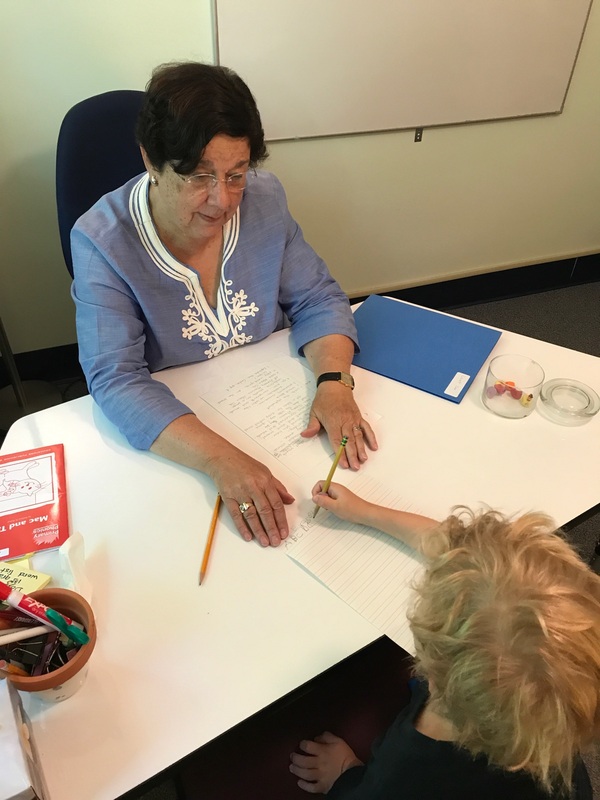 The tutors teach phonics in an explicit, systematic, and sequential manner using multi-sensory techniques, and offer varying strategies to help the students succeed in reading, writing and spelling. The Regina Plan began in 1997 and has assisted hundreds of students with language based differences since its inception. The program employs several tutors who are all trained in the Orton-Gillingham methodology. Over time the Regina Plan has developed a collaborative relationship with the Speech and Language team as well as the Occupational Therapist who works here at the school. What does the Regina Plan offer? The Regina Plan students receive one on one tutoring two to three times per week. Each tutor is Orton Gillingham trained and creates an individualized, prescriptive plan for the student. This means that the lessons are specifically tailored to meet the needs of the student. Those students in the Regina Plan that have a psycho-educational evaluation are supported with a Student Service Intervention Plan (SSIP) which sets individual goals and classroom accommodations. 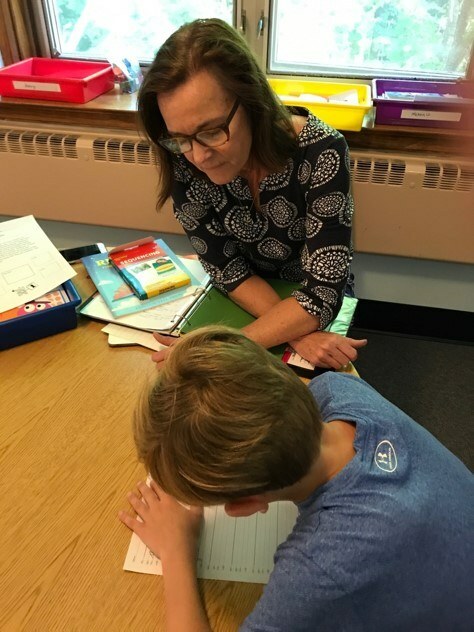 The Regina Plan Coordinator works with the classroom teacher to ensure that each student is receiving the necessary accommodations in the classroom. Each Regina Plan student will receive three detailed progress reports a year, one for each trimester that he/she is in the program. The reports reflect the skills and goals of the tutoring sessions. The Regina Plan Coordinator provides end of year testing to determine the literacy growth of each student in the program. The Regina Plan Coordinator meets with parents at the end of the year to review the student’s progress and also to adjust any accommodations or interventions that are on the child’s SSIP. Does my child need to have a psycho-educational evaluation before entering into the program? No, not all students have a psycho-educational evaluation. Some students enter the program for a limited time to improve their literacy skills. When does tutoring begin and end? To allow for transitions, tutoring sessions begin the second week of school and end the second to last week of school. How often is my child tutored? When does this happen? Typically, Regina Plan students are seen by tutors 2 to 3 times a week during the school day. Each child’s schedule is carefully examined to ensure he/she is not missing critical academic subjects. Each tutoring session lasts 45 minutes in order to complete all of the components involved with the typical Orton Gillingham lesson. Orton-Gillingham is a method of teaching reading, spelling, and writing that was developed in the 1930's by Dr. Samuel Orton and educator, Anna Gillingham. A technique applicable for all students, Orton-Gillingham has been used for over 80 years to help children and adults who struggle with dyslexia or other specific language disabilities to learn to read. In 2000, when the National Reading Panel completed its research on how children best learn to read, O-G quickly gained fame and is currently being used in school systems across the United States. 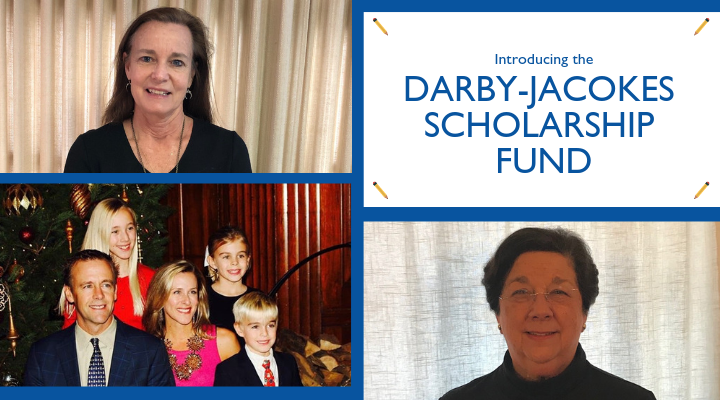 The Orton-Gillingham teaching method is considered the most prevalent basis for teaching reading for children who struggle with dyslexia or other reading disabilities. Note: The use of systematic, sequential phonics is a benefit to all students requiring extra assistance in reading, not just for students with dyslexia or reading disabilities. O-G is simultaneously multisensory (visual, auditory, kinesthetic). This is the foundation for building neural pathways in the brain for retention and is the feature that distinguishes O-G from phonics and other reading programs. O-G is more than phonics instruction. Syllabication rules, affixes, and Latin and Greek roots are additional components. O-G makes connections between reading, spelling, writing, and oral language. Phonological awareness, decoding, spelling, sentence dictation, and fluency are included in every lesson, thus allowing students the ability to not just learn strategies or discrete skills, but to look at reading, spelling, and writing in a holistic, integrated manner. O-G is structured, sequential, cumulative, and repetitive, while always being taught in a multisensory approach. O-G is diagnostic and prescriptive. Every lesson is custom-designed for the student. During each lesson, the O-G practitioner evaluates the mastery and retention of the concepts and plans the next lesson accordingly for the child. O-G is not a program but an approach. This is a critical difference between O-G individualized tutoring and phonics programs or purchased reading kits. All material is adjusted to the unique needs of the student. A student is evaluated and guided to new concepts only when mastery has been achieved. O-G is efficient. During the teaching of one decoding concept, an O-G teacher can include vocabulary development, grammar skills, spelling rules, capitalization, punctuation, and creative writing. O-G is neurologically sound and is based on best teaching practices to help retrain students’ brains.